After a flurry of T55 activity and two in the workshop at the same time and an additional third engine underway our focus has changed. We shall shortly however be assisting a client re commission a pair of T55’s for the road and look forward to the detail. T55 RM on a road test after full engine re build and days before its first International Rally in Portugal 2018 having been sidelined for 15yrs! We are proud to help Lionel Rogers keep his red and black T55 on the numerous rallies while the car is in the northern hemisphere. 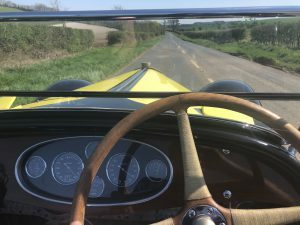 This summer alone the car has competed in 5 separate events in three countries with a total of 10000km including the 2013 International Bugatti Rally in Scotland. Bill Harding asked us to check over the black and green T55 prior to it being showed at Retromobile 2012 after its restoration by Hall and Hall. 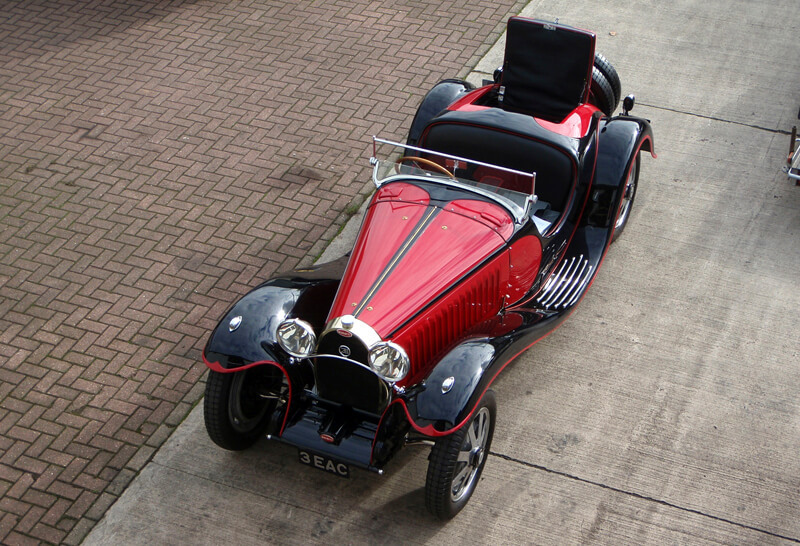 If you get to see this car you must look at the beautiful window winder mechanism… Now owned By Bill Pope from Arizona we assisted with the prep and shipping from he Uk to The 2018 International Bugatti Rally in Saratoga Springs USA. 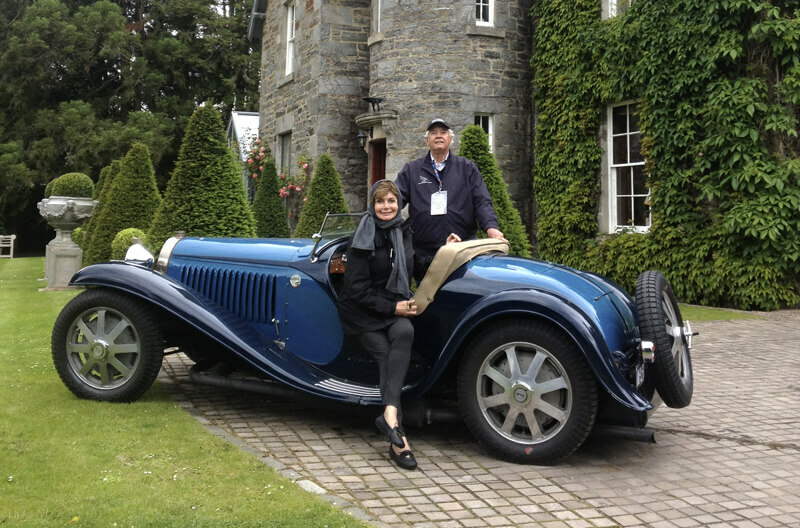 Peter Mullin recently purchased a Jean Bugatti Roadster and asked Tula to prepair it for the Scotish IBR. A very original car had to have a few careful sympathetic adjustments to fit such a tall driver and the car is close to being shipped to Peters wonderful museum in California. 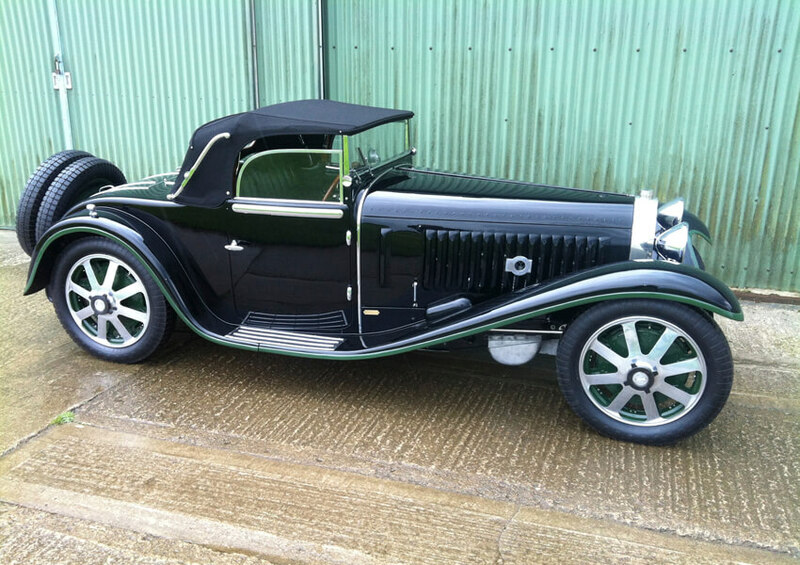 We made and fitted a correct style hood frame and rain cover amongst other things.